CD of colour photos from the days of whaling at Leith, South Georgia by John Alexander. 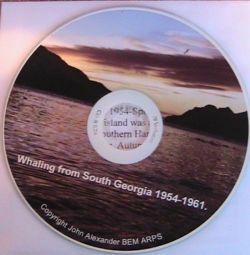 CD entitled "Whaling from South Georgia 1954-1961". John Alexander was 21 years old when he first came to South Georgia as an electrician at Leith Whaling Station. Fifty five years later in October 2009 he returned, aged 76. 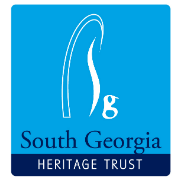 John has compiled his original whaling photographs on a CD to help raise funds for the South Georgia Heritage Trust. John's photos vividly record what life was like for the whaling community at Leith.